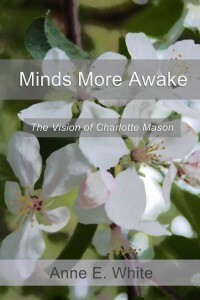 In answering these questions, she points out how following Charlotte Mason’s educational principles ideally leads to connections with the world, others, ourselves, and, most importantly God; it also produces responsibility, self-discipline, careful thinking, strong interests, great ideas, strength of mind and body (versus anxiety), and understanding of meaning and order in our world (versus depression). Anne explains concepts ranging from habits and nature study to the ‘way of the will’ and narration. She also throws in tidbits about Charlotte Mason’s gifted and talented ‘program’, how education gives us ‘minds more awake’, how younger children need different goals in education than older ones, the danger of booklists, short lessons, and how to teach. There are many academic subjects and Charlotte Mason and her followers often discussed how they could and should be taught. For example, many new topics require both playful discovery and hard-working class time, and the wise parent will try to provide time and opportunities to let the former happen before beginning the latter. One danger homeschoolers face is a lack of effort and diligence in academics and child training, and we must remember that children have to answer to parents and parents have to answer to God. Raising and educating children is a very important task requiring large amounts of time. It also requires from parents a characteristic goal of a Charlotte Mason education—grit, i.e. energy, self-reliance, self-control, and endurance. So, if we read reflectively, Anne’s distillation of this wisdom is a blessing and inspiration to us moms as well as to our homeschools. In Minds More Awake, Anne White addresses such concerns from the thoughtful, biblical viewpoint of someone who has studied and used Charlotte Mason education for over two decades …and she does it without using the clichés one comes across so often. I was reassured. Best of all, I was inspired to think hopefully about homeschooling in difficult situations. Unlike many self-published books, Minds More Awake contains neither typos nor grammatical errors. That makes sense; one would expect ‘perfect execution’ from an expert on Charlotte Mason education. This is a beautifully written book, worth recommending to both homeschool and public libraries. Do you need Minds More Awake for your homeschool? 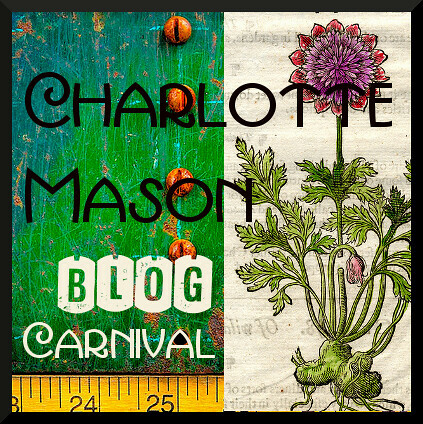 If you have absorbed the writings of Charlotte Mason and her contemporaries, you will not need it. However, if you are a Charlotte Mason homeschooler and do not have all that wisdom and knowledge at your fingertips, I highly recommend the book, both for the practical advice and the sheer inspiration Anne brings to education. Even if you do not follow Charlotte Mason’s philosophy, you will find enough gems in it to make a difference to your homeschool. For more information about Minds More Awake, visit Anne White’s website. For a free K-12 guide to a comprehensive Charlotte Mason education, visit Ambleside Online. And if you’re looking at this curriculum and feel overwhelmed, read this introduction. Currently the Curriculum Choice is hosting a giveaway basket that contains Minds More Awake as well as other homeschooling resources. For more encouragement, visit Raising Homemakers, Titus 2 Tuesday, R&R Wednesdays, Finishing Strong, and Trivium Tuesdays. Disclosure: I received an e-copy of this book from Anne White for the purpose of this review. All my opinions are my own, and I am not compensated for sharing them. 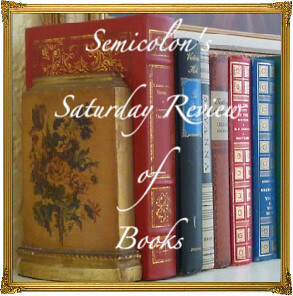 Posted in: 52 Books in 52 Weeks, Canadian, Homeschool, Reviews, Reviews: Nonfiction. This sounds wonderful! Thank you for reviewing it. I will have to put this book on my (too long already) “books to buy” list. Yes, Nelleke, you will enjoy this book. Just yesterday we had a sermon that discussed the will, and if I have time I will write a bit more about The Way of the Will and CM’s ideas from a Reformed point of view. But most ‘thinking posts’ are taking me months to write, so it certainly will be a long time before this challenging one will be ready. I’ve been wondering, have you thought or written about that, or discussed with G. or A.? Enjoyed reading your review. There have been a couple of times I’ve given up on a book out of sheer disgust on the poor editing & typos! Anne has contributed a few free study guides on the Ambleside Online website which I’ve really appreciated so it’s good to see her branching off with her own book.